we're not getting a console game this year. Please point us to a source for your supposedly 100% accurate information and we'll gladly take you up on that. Seriously though, whether it's likely or not, none of us know whether or not we'll get a new console game this year. None of us work at Activision or Toys for Bob, so none of us have a right to tell others what will and won't happen like our word is the absolute governing authority. Maybe we won't get a game this year. It seems likely we won't, but none of us can say for sure, and none of us know more about the matter than anyone else, unless your uncle's friend's cousin's brother works at Toys for Bob. Here's my two cents on the situation at hand. Personally I quit the series and moved on to my true favourite franchise, Kingdom Hearts. I quit because Activsion. That's all I will say on the matter since I don't want to turn this into a rant. As this will be my last post on the forums for the year (and maybe last post ever) I want to get the goodbyes said to specific people here. Drek: Keep on keeping on in life from your attitude and personality you're a cool dude in my book. Don't let others bring you down. Bifrost: we don't have the best track record here but you're still a pretty chill person. Keep on keeping on as well. ChompyKing: I know you wanted to be a friend of mine when you commented on my account. Sorry we didn't really talk much however, you're still a good person. Ninja9351/PM9351: we've had our agreements and we've had our disagreements. However, you're still a cool dude in my book and is kind for the most part. I can tell your channel is growing more and more each day. Keep up the good work. Just try not to overhype things a little lol. Zapnorris: now of course our track record is complete trash that's said and done. However, I have some kind words for you. You're a pretty funny dude when it comes to memes and whatnot keep up the comedy. Just try to nice to others on the forums here a lot mor. I'm sure everyone here wants to be your friend. Allow them to. And to everyone else may you have the best of luck for your futures and enjoy the Skylanders series! some sappy kingdom hearts-tier posting won't save you now. The last Madagascar games were made by D3 Publishing, I think that's the name. All of the recent DreamWorks games (Madagascar 3, The Croods, Rise of the Guardians) were made by them, since the deal with Activision was over since 2012-2013. DreamWorks has moved on from videogame adaptations. All of their movies got those earlier, but now we only get mobile phone apps, which are way cheaper and easier to make, and have a much bigger market. That's just my two cents on the subject. Also, I liked the Madagascar 1 and 2 games as a kid too. Heh, I thought I was the only one. God, you just can't be a nice guy, can't you? activision would have said if we were getting a new console game at the quarter report. that didn't happen. thus, no console game this year. i'd love to be proven wrong, but it won't happen. seriously, people... you act like there's some chance things will get better, when it's clear that the franchise is on it's last leg. why can't you all just accept that i'm right? your hopeless optimism won't help you. just because you want something doesn't mean it will happen. this isn't some perfect world where you get to sing a song and make everything okay. this is the real world. Can't you accept that we don't care if it's optimistic or pessimistic because you keep rubbing your ego on everything? You used to be fun for discussion, this is no longer the case unless you're making memes. Repeating it like a broken record isn't going to change that we like to talk and think of possibilities, and if you don't like that, tough luck. We never said we're getting a console game this year, Zap and we know it's pretty likely we won't get one. All this discussion is for 2019 and what it could bring. If you don't like people discussing about things... what are you doing in a forum? Okay, we know pretty well by now your opinion, thanks. Can you let the rest of us to have our own and discuss, please? Most of us aren't even optimistic in the way you say, just sharing opinion about facts. For God's sake. There actually is a fourth film in the works, which was previously scheduled for this year but has now been postponed to the next one, but I doubt they would be already developing it. Don’t know about DreamWorks’ politics regarding videogames, but I’ve not seen many movie tie-ins like I used to, now that I think about it. Regarding Skylanders, I’m convinced there won’t be any new game this year as well, but I’m ready to be surprised. Hopefully they are dedicating this year to Spyro, like they did with Crash the last one, and will return to the series in 2019. I agree. I have no problem with people that disagree with me. What I have a problem with is this pretentious hubris that just radiates off of what he says. We want facts mixed with speculation, not this dismissive pessimism. Zap stop with this debbie-downer, condescending, know-it-all persona you have right now. It's not constructive in the slightest. I have my doubts personally about a Skylanders 7, but I don't say it over and over and over again. It isn't necessary. Note that this topic is called "Discussion, Speculation, and News"
The series is on its last leg, but we don't know for sure whether it will ever attempt a comeback or if it will stay buried forever. Activision can be very unpredictable in times like this. Sometimes they try and revive a series a few years down the line, other times they don't. It's not a definite yes-or-no situation, so all we can do is wait and see. Maybe we'll wait 10 years and Activison will say "Let's try and bring back that old series," or maybe we'll wait an eternity without a single word about Skylanders. And to prove how mature he is when it comes to disagreeing with people he blocked me. This, of course, followed a comment in my guestbook about how we aren't getting a new game. Extremely mature and scholarly if you ask me. I'm gonna say it, I don't think we are getting a new game this year. But we can't dismiss the possibility of one. No one can prove me wrong on that. Give me one solid, and definitive piece of proof (not evidence, proof) that we aren't getting a new game this year. I again, highly doubt we are getting a new game at this point, and honestly, the Spyro remaster makes it seem even less likely, but I don't know how many ways I can say this. We DO NOT KNOW if we are or aren't getting a game this year. But... but Anakin brought balance to the Force. Only 2 siths and only 2 jedis. That's kind of fair, right? I also can't give you any solid proof that the Earth isn't going to turn into a cosmic chicken and devour the galaxy either but I'm pretty sure it won't. I believe there will be a non-toy based game in the future, but deep down we all know that it's not going to be this year even though we can't completely prove it. But I can't get why people engage with someone who is only making negative comments. Have you thought about ignoring them? Lots of people seem to be over Zap's constant negativity and yet you still bite when he posts something. With so many great Skylanders characters it's hard to imagine nobody ever doing something else with them. Hard to see there never being another game, although I think any future game will be significantly different. You're kind of late, mate. I hadn't read anywhere on here specific dates only people guessing and hoping. Several articles came out today talking about an official announcement next month. So I'm not feeling late, mate. i agree with zapnorris, you all should just accept it, skylanders is done. the spyro remake is happening and you all should instead look forward to that. Two people trying to stop discussion atop their high horses, fitting. Guys, I think you should all stop jumping to conclusions so much! But I just want to say, this situation reminds me a lot of the time period after Dawn of the Dragon was released and we were all holding out for news of a new Spyro game. No one told us anything. We had a movie planned which kept getting pushed back, and ultimately cancelled. It was three years after the release of DotD when we heard anything, and that turned out to be Skylanders. Skylanders as we know it may be ending, but is that really such a bad thing? I haven't played the games since Giants, but it seems like the quality of the games has been going downhill since. It is probably in their best interest to give the series a break for the time being and go over what makes it great, and what doesn't. It also will give everyone a chance to save up their money, eh? We know that, but it's also fun to speculate in the very small, very unlikely chance of a game still happening. I'd rather have a break(or sell it to a better publisher...) but I also like posting around here and seeing what other people think. Trap Team was pretty much the peak of the series, and things started to go downhill shortly afterwards. I'm glad they took the declining sales as a sign to stop the series for a while. Even if it's forever, at least they stopped at the right time and didn't try and milk it to where it became like an EA game. The way they stopped the series means that if it ever comes back in the future, it probably wouldn't try some dumb gimmick like more cars or... *shudders* sports, and they'd instead bring it back with a nostalgic remaster of the good ol' days since we all know nostalgia sells. I don't believe nor care that we'll get Sky7 this year, though I think we've got a pretty good history behind us anyway. Besides, with all the rumors of a Spyro trilogy remake (and occasionally, Crash ports), at least we'd have those instead. I don't see a bad ending to this. As I've said in the past, I think it is foolish to ever say that any franchise is dead. Where there are fans, there is money. That's how publishers businesses see it. Skylanders Imaginators sold poorly, Skylanders SuperChargers took a hit in sales - it's also foolish to ignore that. If a franchise is selling poorly what would be the logical thing to do? Pull the plug for the time being, go back to the drawing board, think of a new way to sell to new consumers while also bringing back previous fans, wait a while, make people miss the franchise and release a new game in a franchise. That doesn't work? Do it again, take a longer break. Let's take a look at a couple of other franchises. Ubisoft took a year break, released a new game, reinvented the franchise and guess what? It worked for them. While official sales figures haven't been released, [url=https://www.cinemablend.com/games/1722840/assassins-creed-origins-sales-are-way-up-compared-to-the-last-game]sales are up 100 percent. And while 2017 saw a dip in viewing figures, that is more to do with how consuming television shows has dramatically changed in the past few years, around 3 million more people watched the episode on BBC iPlayer on top of the below figure. And what's happening next year? Another reinvention. New cast, new writers, new sets. So Skylanders as we know it? Yeah I guess you could say it is dead. However, Skylanders returning in a new, fresh form? Yeah that is going to happen. How long? Only time will tell. The original spyro were very good. The skylanders serie was aesthetically and spiritually closer of the original rather than the legend one. ^ This. I agree 100%. I think this is what I was trying to get at earlier, but you've explained it way better than what I ever could! sure, that may happen. but we're talking years into the future. by then, the original audience will have been long gone. don't get me wrong- i love these games, and i really want to see more of them. but logically? it most likely won't happen for a very long time, if at all. No way to tell. It could be just a couple of years, Assassin's Creed there was just a year gap. Doctor Who there was a 9 year gap between 1996 and 2005. It completely depends on how well they execute their 'reinvention'. When Skylanders returns I highly doubt there will be such a big focus on the toys, I think it will purely be a game on its own with a roster of a few characters. 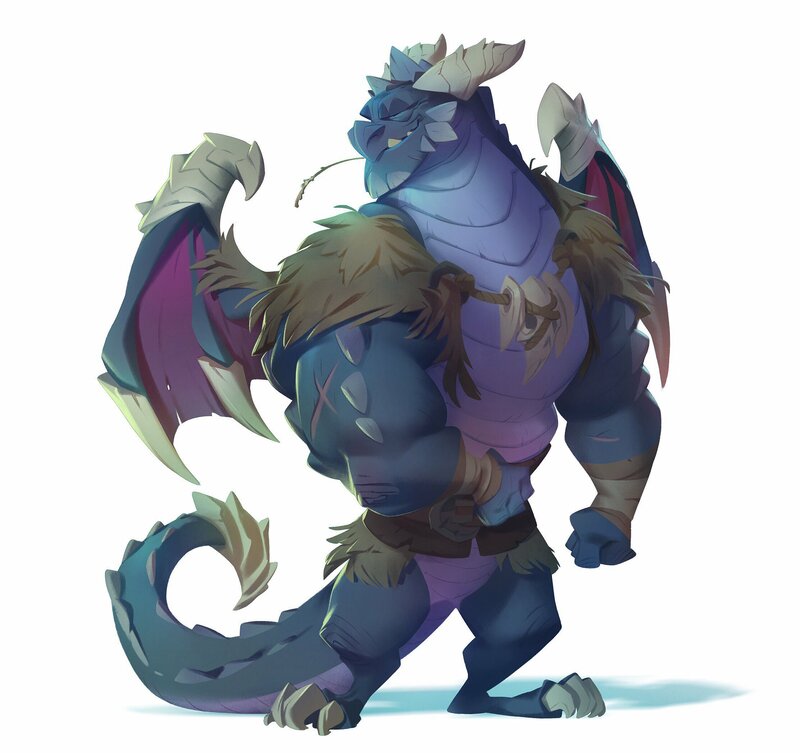 The other route they could go is going back to basics, they could use the Spyro's Adventure/ Giants model of no gimmicks, just the statues (they could even just do 8 figures so they don't over saturate?). Alternatively a port to current gen consoles (Switch, PS4, Xbox ONE) but eliminate the toys and much like imaginators for Switch, have a roster to choose from but just have every character preloaded (maybe a bonus for fans where if you scan a figure you get gold or a legendary treasure?). But just throwing ideas out there. In my personal opinion I believe we'll be seeing a return in 2019/2020. Given how much money the earlier games made, I doubt Skylanders will be gone for long. I reckon Acti will try to revive it ASAP. Sure, the newer games bombed, but I can't see Acti easily giving up on such a big cash grab for too long. So my expectations are either 2018 or 2019. Despite few hints towards a 2018 release, I still wouldn't be surprised. Nostalgia makes big bucks, so they'll probably wait until a big chunk of the fanbase starts getting all nostalgic about it the same way people got about Crash and Spyro. So this confirms either one of two things. 1. There isn't a Skylanders game in development from either Toys for Bob or Vicarious Visions. 2. The next Skylanders game is online multiplayer. online multiplayer?? that would be amazing..
Online multiplayer? Excellent! Now I can hear kids tell me how they did my mom last night whilst playing Skylanders! This is revolutionary, people! It also confirms, more than likely, that whatever this is, isn't Crash 2019. I'd heard some rumors that since VV is tackling Spyro, TFB could be making Crash 2019. So unless the new Crash game features online multiplayer with couch co-op, then this seems to exclude that as a possibility. A bit unrelated, but I'm genuinely curious if you saw this because of my video or actually found this on your own. I'm sure we're all hoping for the latter. I frequently check job listings and just have the general google search for 'Skylanders' and change the settings to 'past 24 hours' so I found it. But if you found it before me, good job! Let’s not forget SuoerChargers did have online multiplayer, even thought it probably could have been handled better. That might have been because of the nature of the gimmick itself, but I’d be all for online PvP with the actual Skylanders. Even if that may require rebalancing a lot of them. Well on the Wii U the online still works. No one uses it but...yeah. I'd also like to say that this job listing here-http://jobs.gamasutra.com/job/sr-executive-producer-toys-for-bob-novato-california-32451 (no longer available at TFB's website) is very interesting. It specifically mentions that this is a Game as a Service (Gaas) game. Just something else that's worth taking note of. Darn, I was hoping for a jape video. Though I guess none of the bait and switch music channels have ever used Skylanders on anything. it probably the 'unreal engin' game we don't know what is it. It ain't the spyro remake because VV is in charge. doubtful it skylanders related the franchise was milked to death. We don't know if it's VV yet. Rumors can be true but the source might also be getting info that has yet to be decided or truly revealed. While Skylanders technically has online multiplayer and "games as a service" aspects, I don't think they would be mentioning those things before everything else if they were just making another regular Skylanders game. It sounds more like we'll be getting an MMO styled game with lots of DLC and microtransactions. Which could still be a Skylanders game, but it would be a completely different kind of Skylanders game.